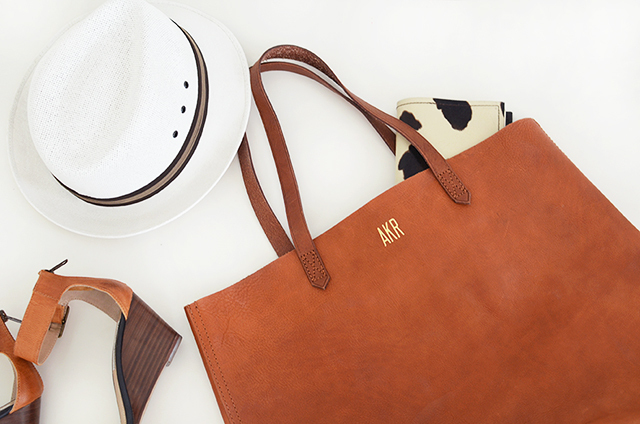 I’m loving my oversized tote from Madewell I bought months ago, and finally monogrammed my initial too. 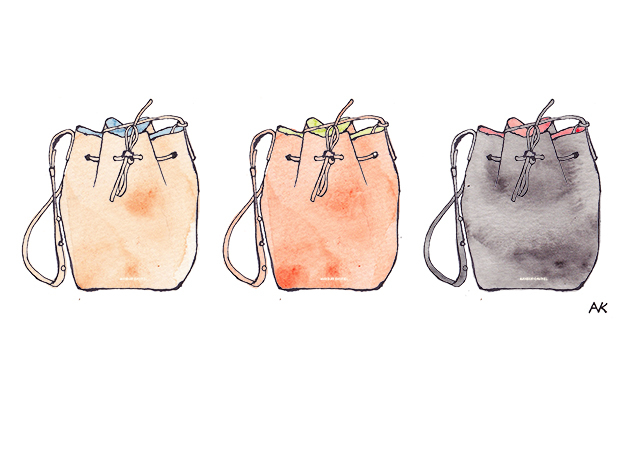 It costs only ten dollars and simple plain tote suddenly become more personal. Love. Do you like to personalize your item? *By the way, now I’m into this bag and love to put it in our bedroom! It’s February already (!) and I started to think about Spring/Summer wardrobes. whenever I want to feel good or relax, you know? That’s my way to feel good really. :) Anyway, it’s still pretty chill out there so not sure about whole s/s shopping list yet. But the only specific item on my mind is a black tote bag. 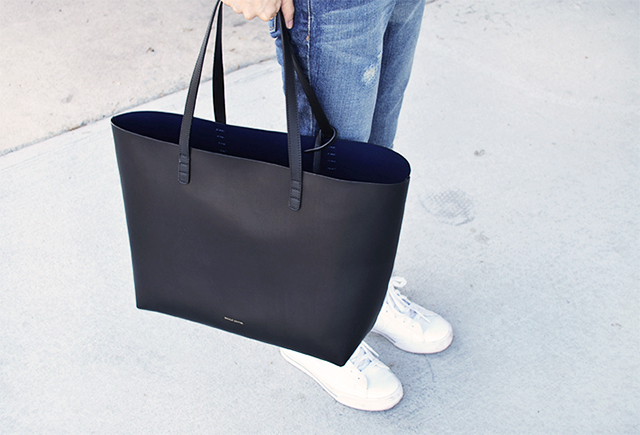 Mansure Gavriel is one of my top lists, but the only concern is the size. It looks perfect on people, often look weird (too big) on me.. 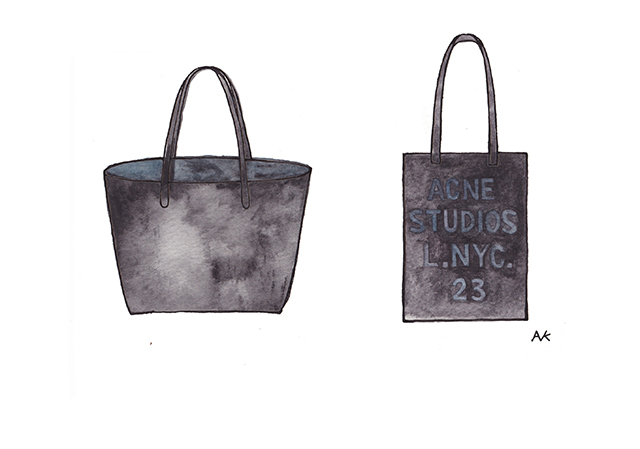 The Acne bag is fun with the logo, but not sure for everyday bag for all year around. So still searching and let you know when I find “the one”. *I’ll announce a winner later today on the giveaway post! 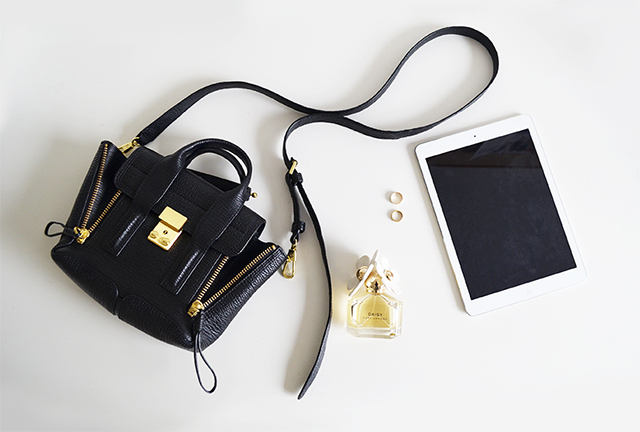 I’m not sure when I first saw Mansure Gavriel‘s beautiful bags, but ever since it’s been on my wishlist. It may be little late but I have to post them as I’m so in love with the simple clean look, which says.. “inspired by natural textures, pop colors, clean lines and simple shapes, the collection evokes italy in the 60’s or a classic california easiness”. I had fun drawing them and the color combinations are nothing but awesome. My current essential. It’s been rainy and cold for the past couple days here. It makes me want to take a long hot bath but mine doesn’t have a bath tab.. I’m missing a big bath tab at my mom’s house in Japan. Stay warm and have a nice weekend!